Learning to Do, Doing to Learn, Earning to Live, Living to Serve. In the fall of 2016, the Wakefield community embarked on a new journey: raising bees. 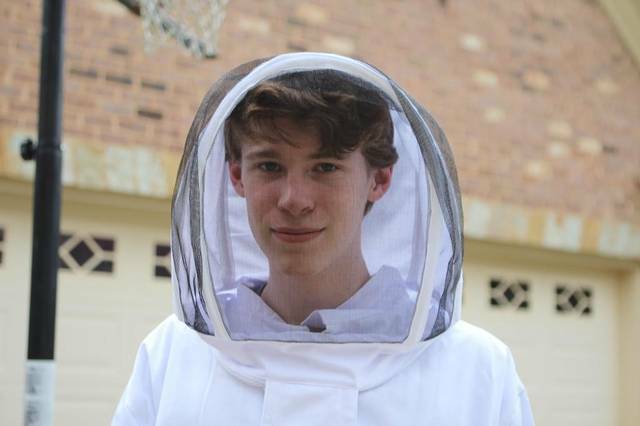 Students, staff, community members, and the Oak City Bees (owned by former WHS FFA student Hayden Schug and his mother Melissa Schug) worked to construct 16 bee hives that would be placed in 16 sites throughout the community. Students and staff constructed the beehives and then placed the beehives at local homes of volunteer host sites. Soon after, students were instructed on bee and honey production management. All host sites signed contracts stating they would not spray any pesticides around the beehives. 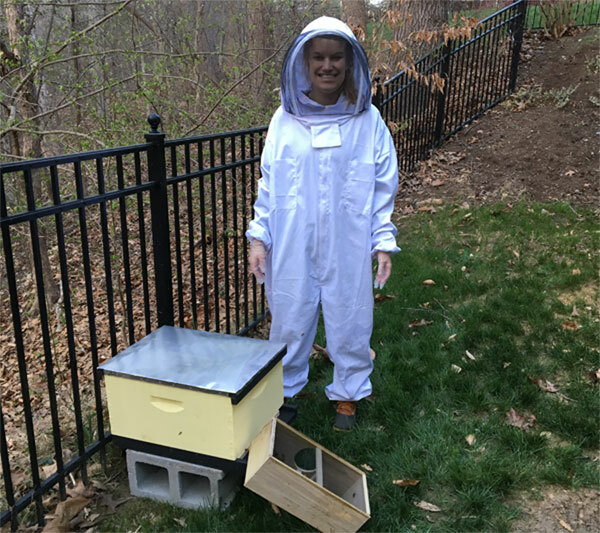 Ms. Shannon, the WHS Computer engineering teacher, is ecstatic about her first honey harvest from her Bee Brigade hive. You aren't even supposed to be able to get honey the first year, but these bees were so happy, she had to help them out and harvest their surplus before they drowned in all of that honey. It doesn't look like she is too upset about the yield, either! Bee Brigade in the news: What's all the Buzz? Watch the Raleigh News and Observer Video here. Read the Raleigh News and Observer Article here. Read the Wakefield Howler Article here. Mrs. Riedel heads to paradise to study STEM on the islands.